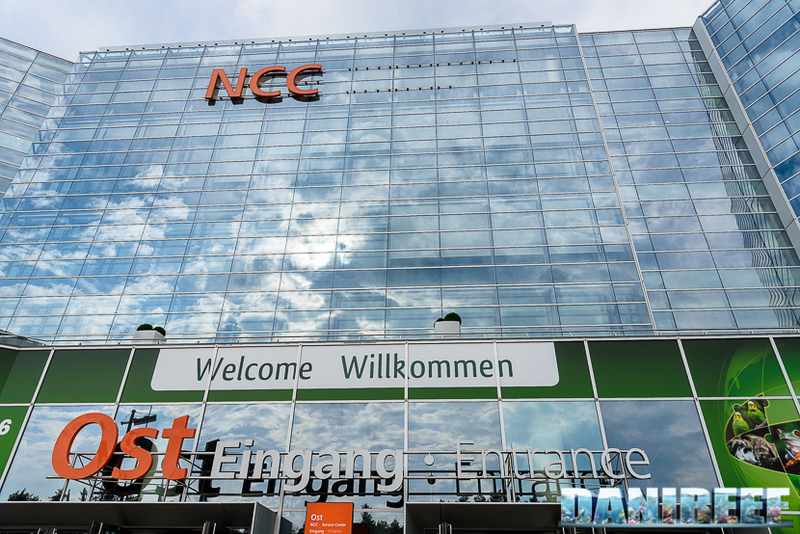 The 34th edition of Nurnberg Interzoo has just ended. Flying back home, we had a chance to reflect on the event and write up an editorial on our experiences and insights. 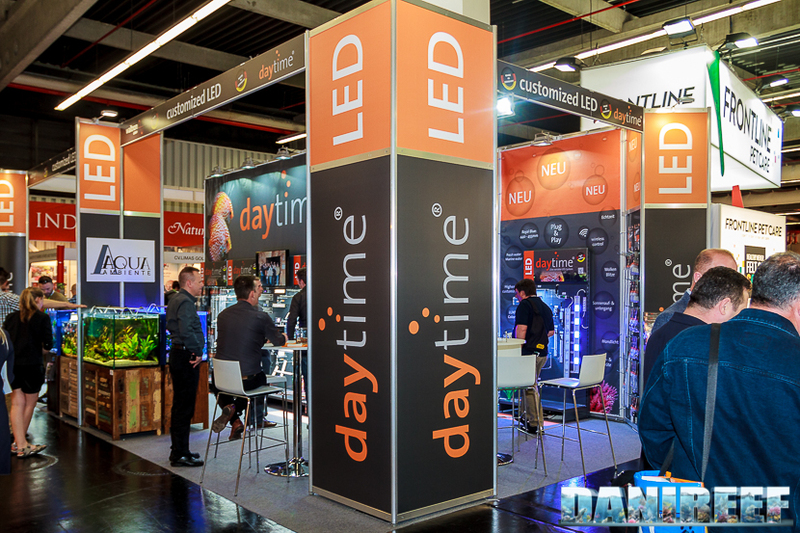 After the editorial, we will be writing lots of in-depth articles on the exhibitors and products that were particularly impressive, so stay tuned! My first Interzoo was in 2006, and since then, I have never missed a single year, and I always enjoy writing about this fair: the biggest and most important international pet industry exhibition. This is my 6th time attending; a lot of things have changed but one thing is always the same: the best people go to Interzoo! Whoever is missing… Islosing! Organizers reported that the attendance was up to 39,000 visitors during the 4 days, which is 5% more than 2014 edition (you can read the editorial here). 2018 will be a very special year for the fair, as it will be moved to weekdays, from Tuesday, May 8th to Friday, May 11th. Travel friends as usual have been great, and they worked hard to help cover the whole event – we have almost 100GB of audio and video files! We will need time to edit everything and show you all the best new products. I can definitely say that Federico, Simone and Maurizio worked a lot and I’m sure you’ll be impressed with what they’ve done. 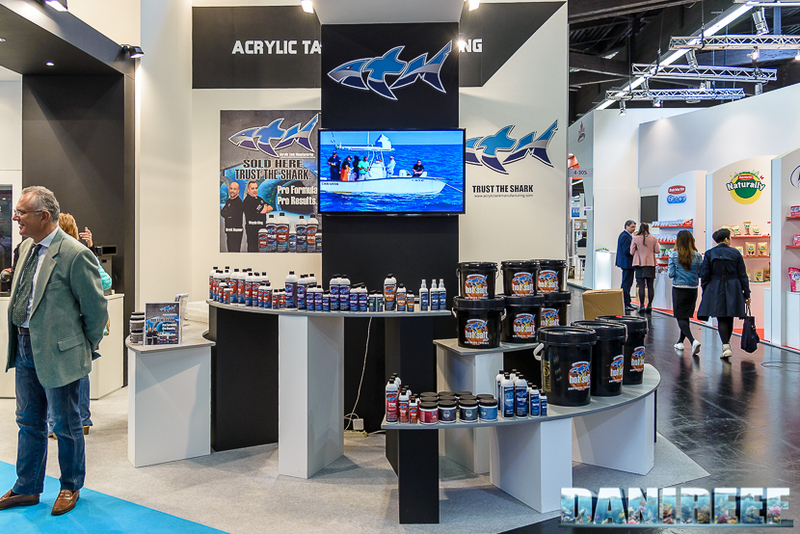 Interzoo is not a normal fair – the biggest companies wait for this event to flex their muscles and show off their best and newest products, often in demo version, to make a good impression on the market and try to dominate it. All the new trends are shown here. 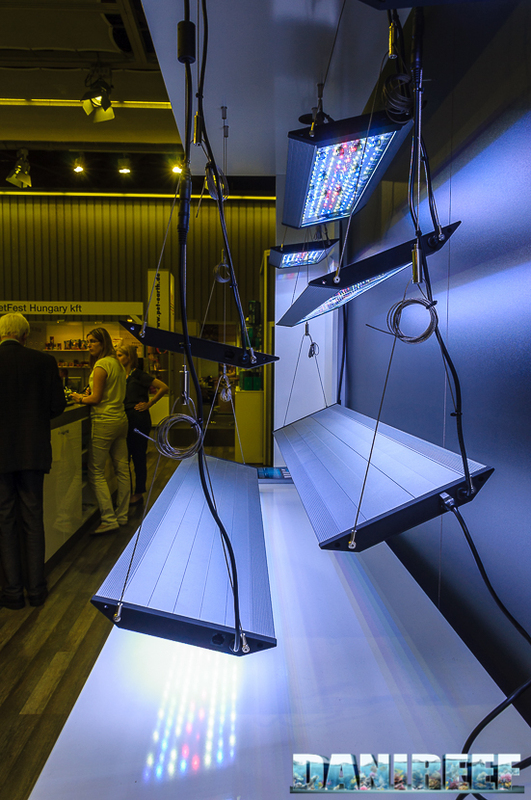 But before talking about products, we will analyze the trends we noticed along stands and pavilions. 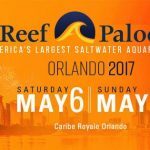 13 out of 17 pavilions were used and there were 1389 exhibiting companies, of which 378 were from the aquarium industry. 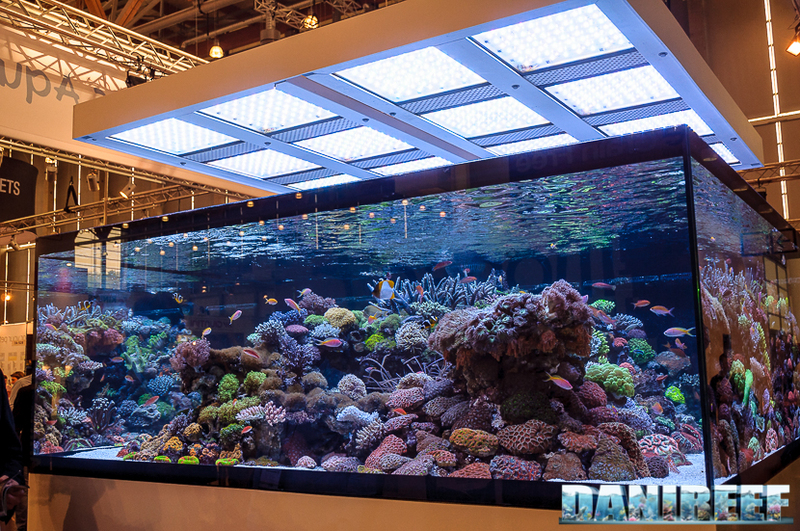 The fair confirmed that LEDs still reign supreme as the preferred method to light aquariums, both for fresh and marine water. 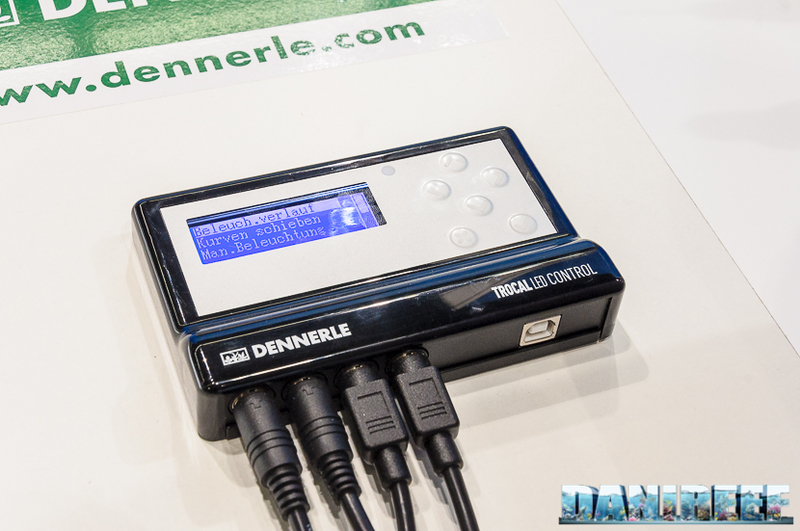 It has also confirmed the use of adjustable pumps (not all only at direct current, as we will see) and moved the focus to apps, in our opinion the real new trend for 2016. 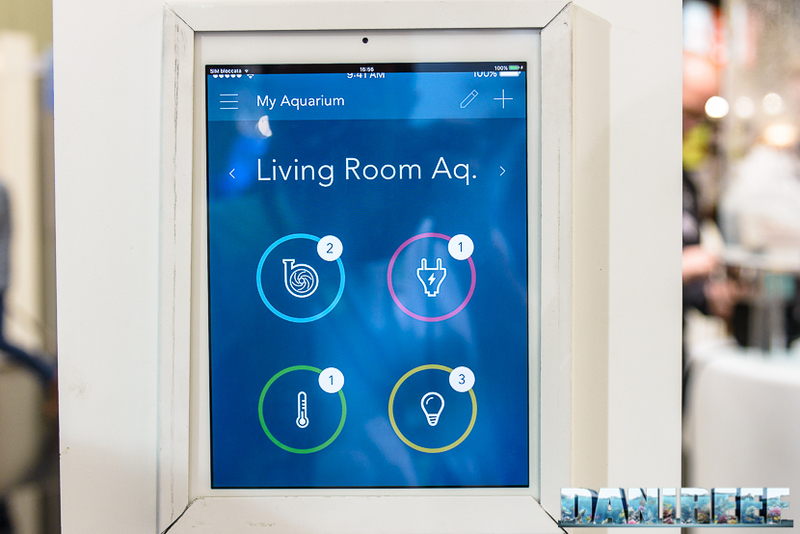 Many, many companies presented a new way to control aquarium equipment via apps, both dedicated and web-based. 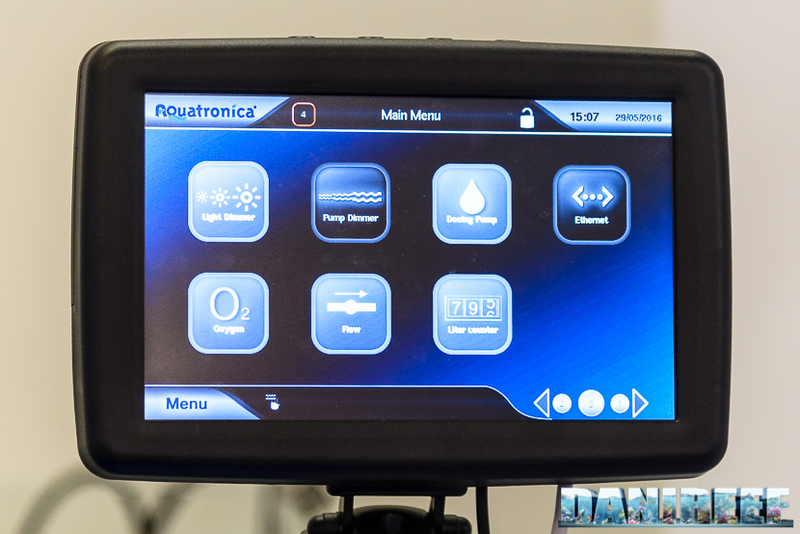 For example we can see here Aqamai, AquaMedic, Aquatronica, Dennerle, Philips, Rossmont, Seneye, Sicce, Tunze and Zetlight. 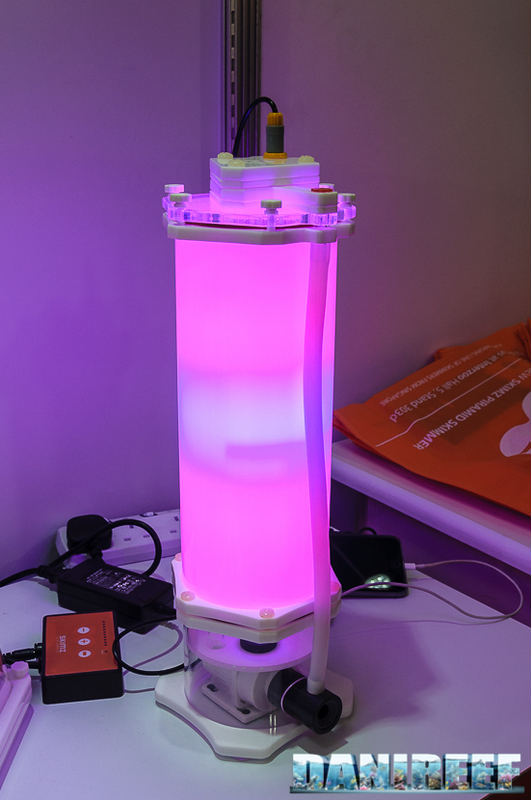 Beside that, we observed a growing interest with T5 lamps, where many companies presented new ceilings, tubes, in a way that it seems a return to starting goals of aquarist (someone also put on the catalog some reflectors HQi). 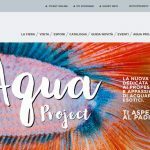 Aquascaping is gaining popularity for fresh water aquariums, and I’m happy that lot of aquascapers are Italians, with many idea and great results. 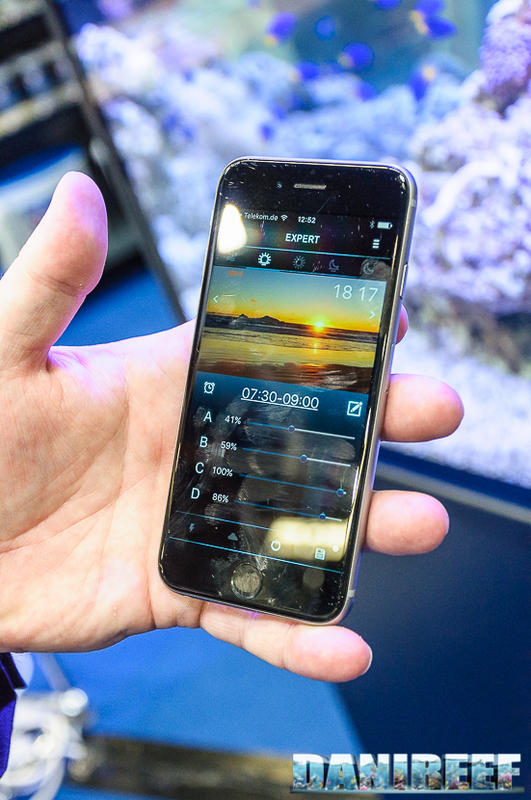 And I am sure our videos, recorded for the first time in 4K, will surprise you. One thing that I noticed was a lack of Discus. They once were the kings of the fishes, but now they aren’t, and overall, there were far fewer fresh water fishes than in years past. 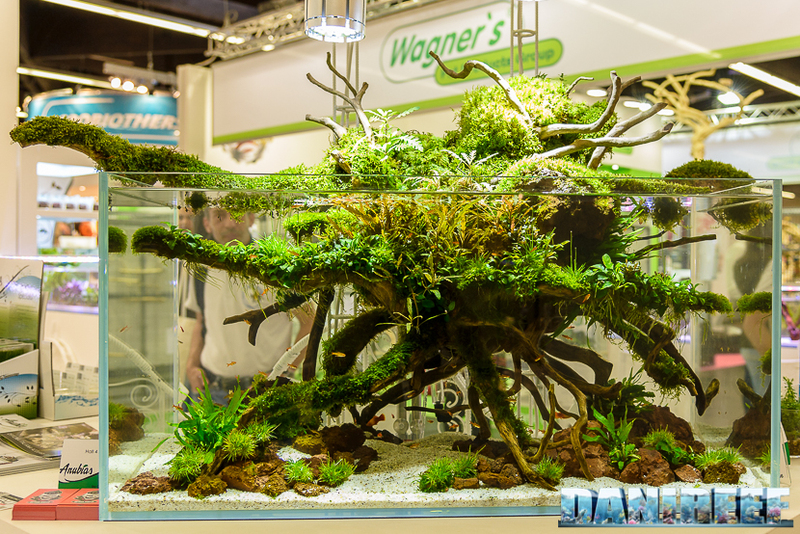 As we said, the market is moving to aquascaping. We also saw a huge aquarium with Koi carps, a sector not close to us but that uses lot of water. The 5 authors of this editorial followed different routes during the event, so we didn’t see the same things and we had attraction from different products. 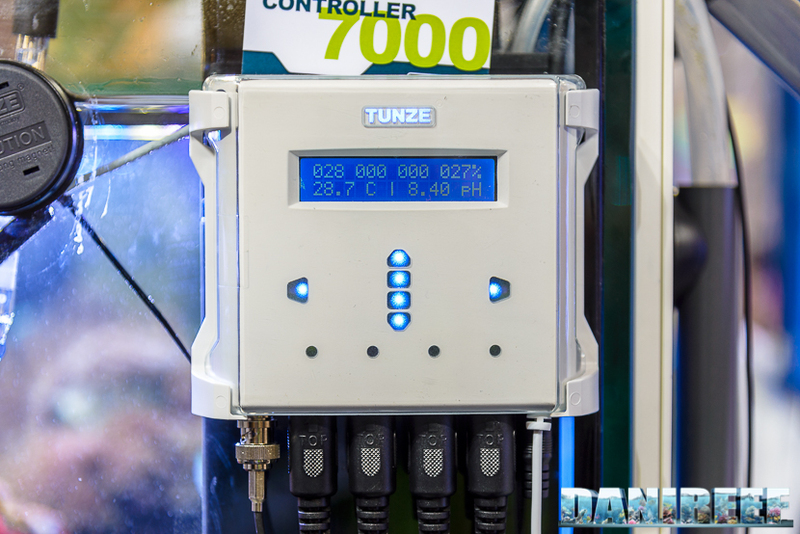 I was fascinated with the Kore 5th system of Pacific Sun, a metering station with 5 channels able to manage the water change automatically. 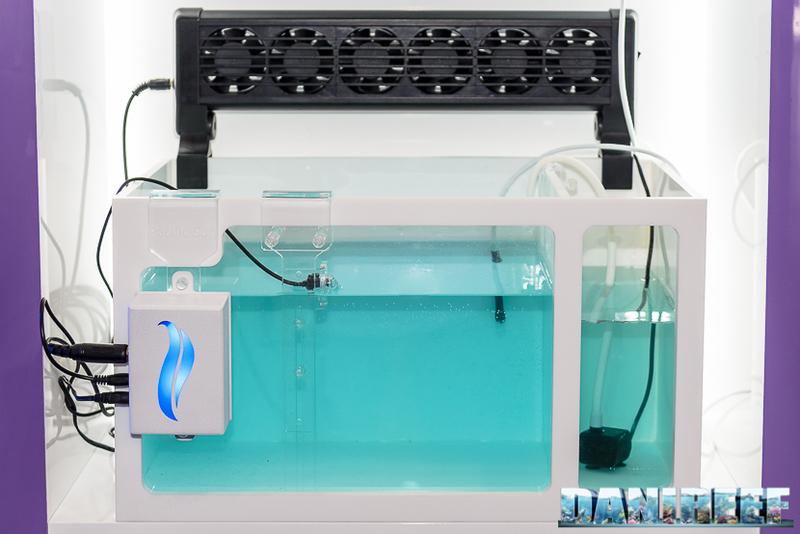 It can do that thanks to a pair of pumps, even if they are dosometrics (2 on 5 default pumps), or if they are two centrifugal pumps connected to the back side of dosometric system, Kore 5th, they can remove water from the aquarium and add it at the same time. 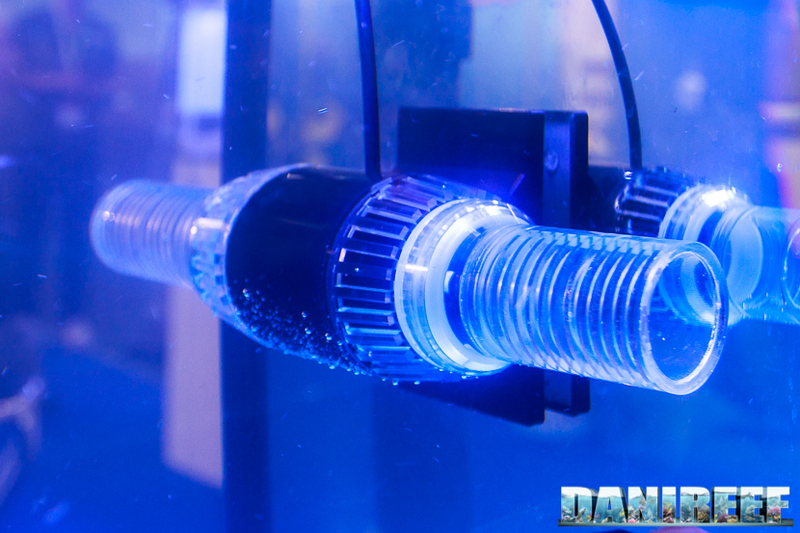 I would love to try this system, and if it works well, I could avoid having to deal with water changes in the future. 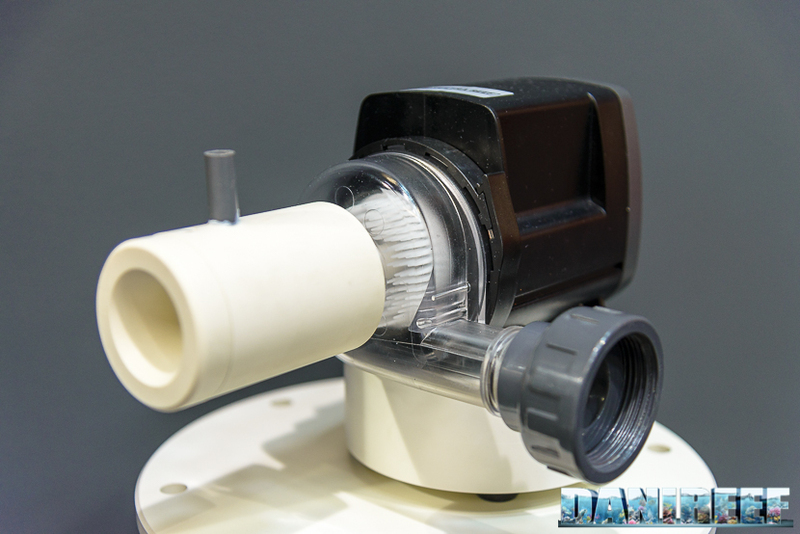 There were many interesting pumps, from the new Tunze Turbelle Stream 3 to the small Aqamai, from Aqua Medic to Aquabee and skimming pumps with variable flow from Sicce and the remarkable skimmer UltraReef Tyhoon that uses it, up to the Rossmont Waver. 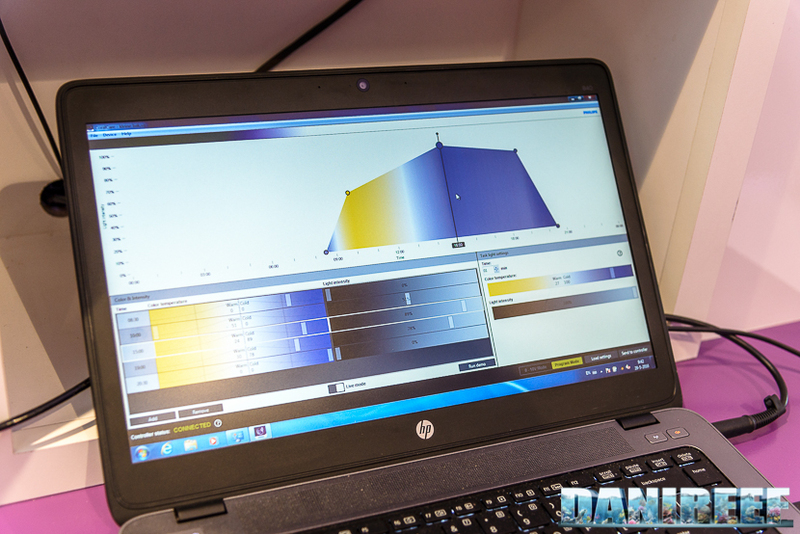 Each product was interesting and innovative. 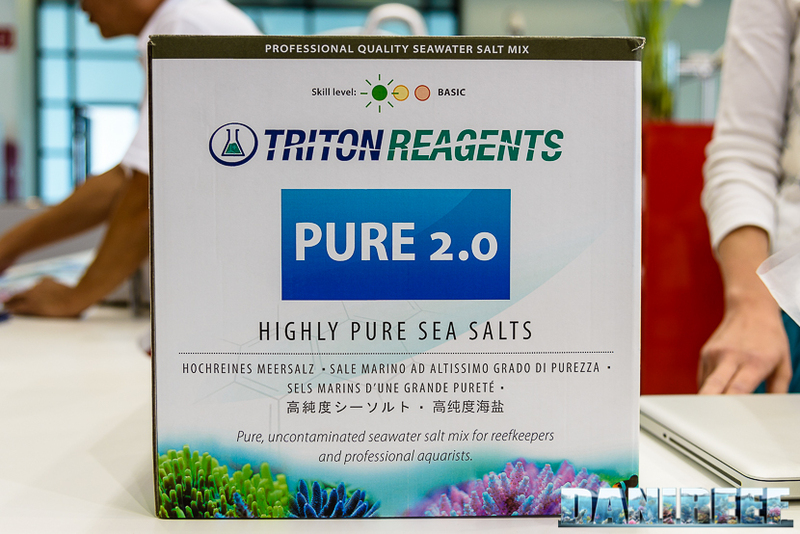 I liked the idea of Triton’s new salt, Pure 2.0, a sea salt with an extreme level of purity, already divided into practical bags for changes by 2, 5, and 10 liters, and with two reagent liquids to be added during the preparation of sea water. 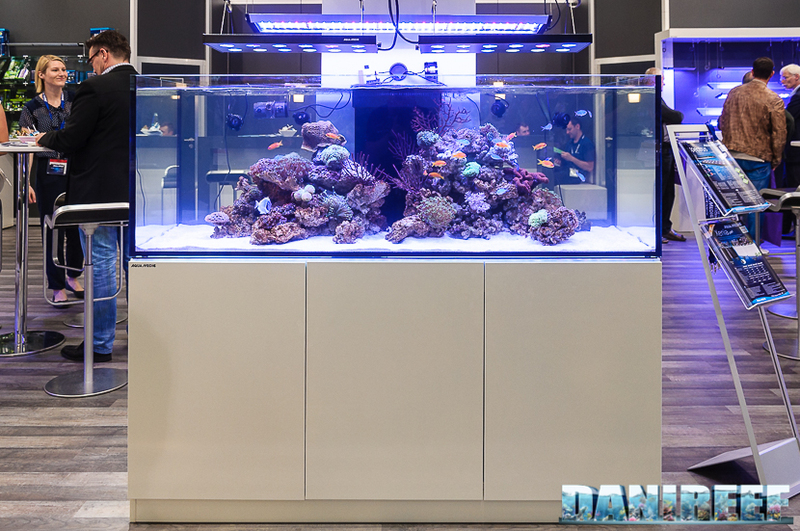 Two of my favorite aquariums in Aquascaping belonged to our friends Enrico Fortuna and Roberto Bielli at the Equo stand, where the Italian brand presented many new interesting products. Brett and Wayde from ATM (maybe you know them better for the tv program Tanked) were not in attendance, but their booth had many interesting products, and we learned that they will be distributed in Europe by Teco. 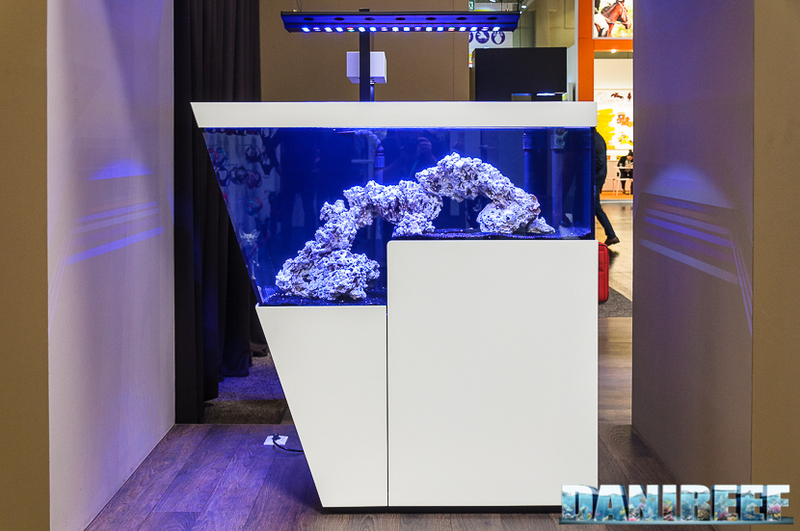 Now it’s time to read the words of Simone Baglioni, who recently created a new 700-liter aquarium. 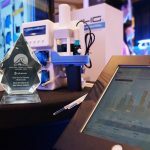 I was very impressed by the organization of this fair – it was my first Interzoo – both the accuracy and the punctuality, by the big spaces and by the number of stands as well. 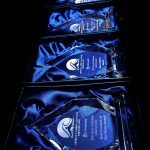 I was a bit saddened by the absence of big aquarium companies such as LgmAcquari, Xaqua, OceanLife, etc., but there was a lot of news and new products to be found. 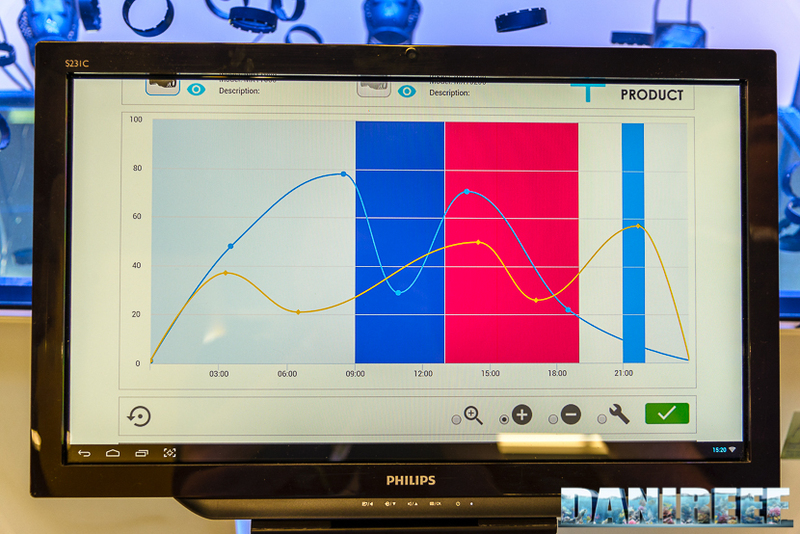 This is my personal top chart about the news of this fair: 3rd place goes to the modular lamps DayTime produced by the German company Waltron, not only because they are equipped with a good control system (now common to most of the LED lamps), but for the variety of modules that allow a total configuration by the user, ease of assembly, and the final light yield which seemed definitely a good standard. 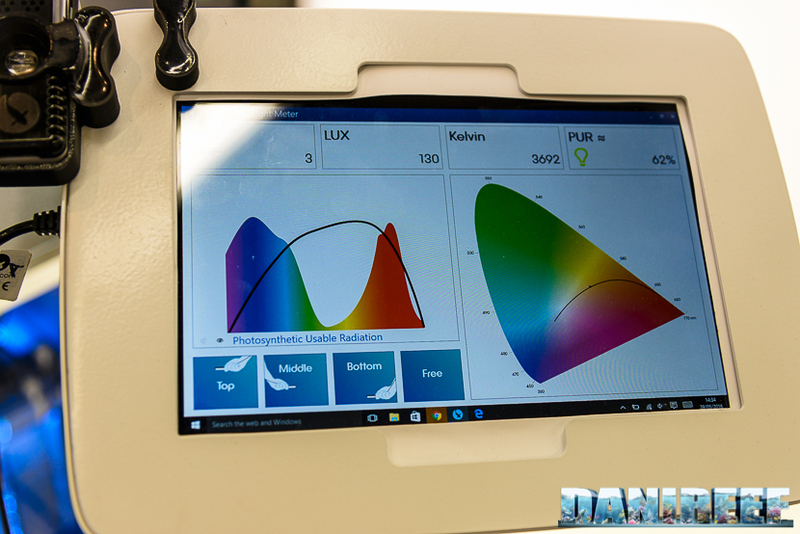 I really hope to have the opportunity to test these lighting systems better in the near future; if I do, I will be sure to report my findings to you. 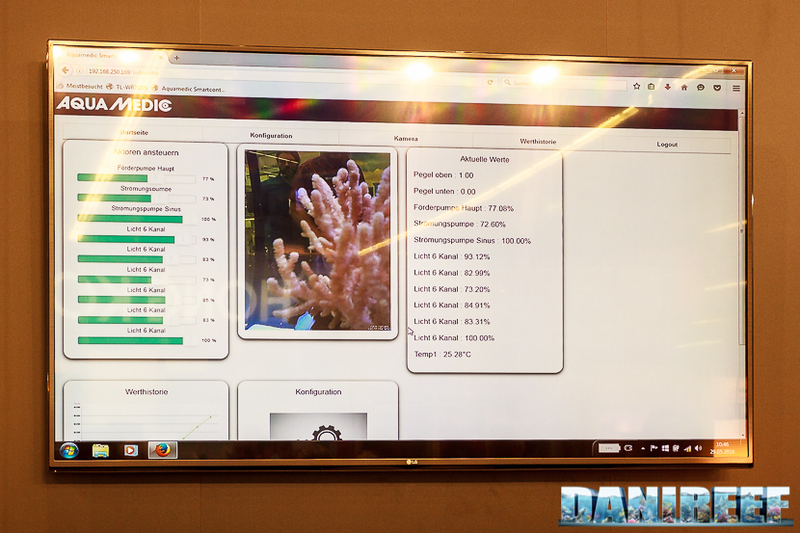 2nd place is new type of glue for corals or rocks, it was very successful at the fair, and was presented by four companies: ATI , DVH Aquatic, Grotech, and Preis. 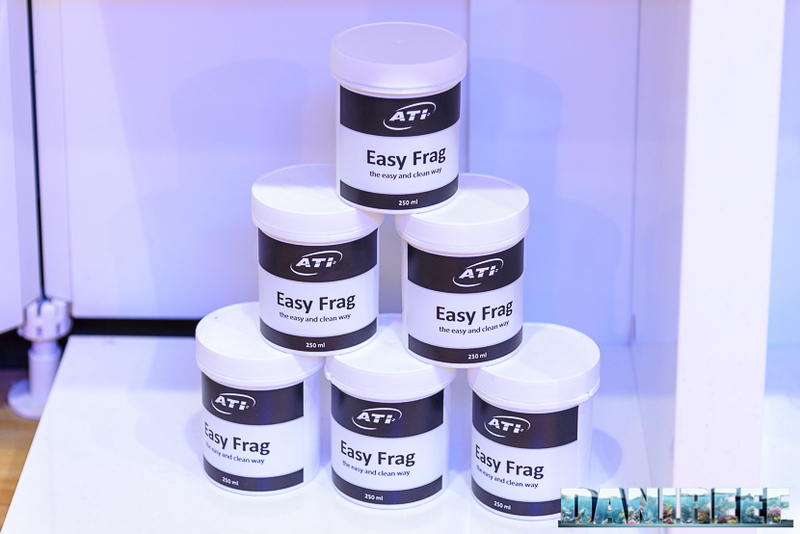 It is very nice to finally have a product that is easy to use, with no mess in the tank and completely non-toxic for animals; it is valid replacement to the old two-component adhesives which, in my opinion, are far less comfortable. First place is definitely the new skimmers made by Skimz. 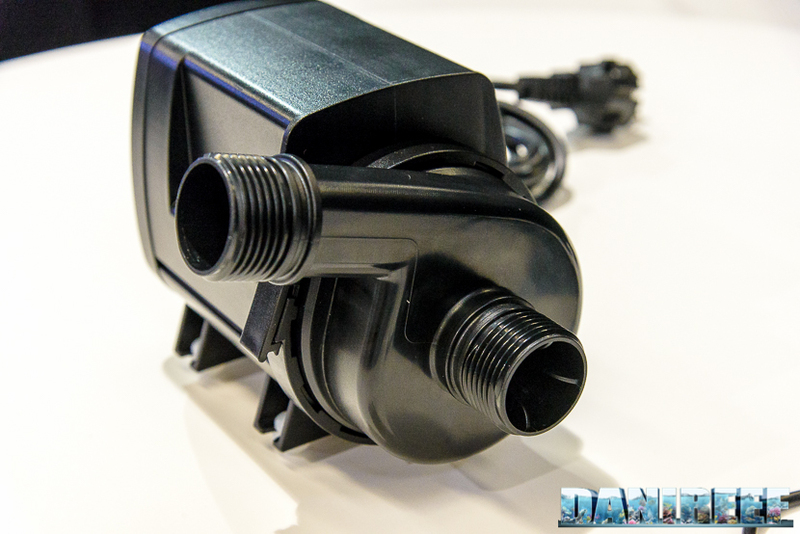 A line of really interesting products that uses skimming ellipsoidal section rooms to reduce the size in the sump and that, according to the manufacturer, should maintain the same characteristics of the more bulky circular skimmers. 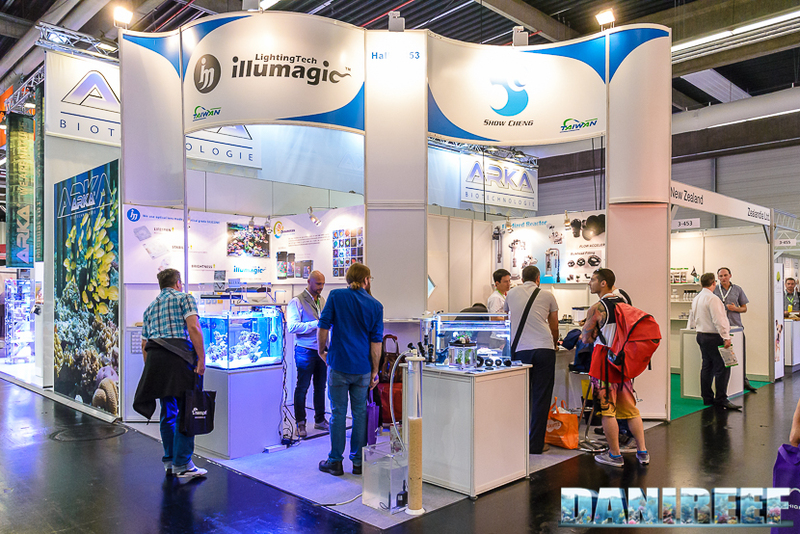 Now, we move on to Massimo Morpurgo, aquarium curator at the Museum of Natural Sciences in Bolzano : The Interzoo 2016 trade show proved to be even bigger than the previous editions, too big for me to visit every booth there. I selected a dozen companies that I thought were particularly interesting. I stopped for a long time at Schuran’s stand, which also hosted Abyzz. 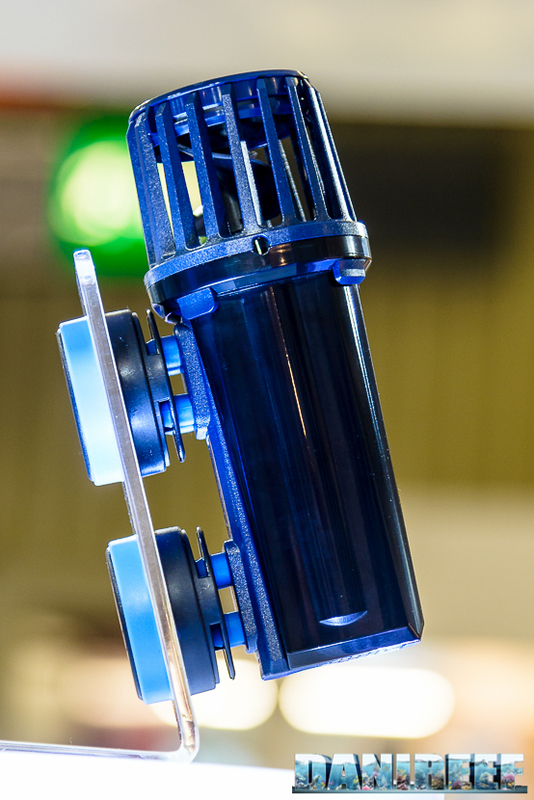 The Abyzz recirculation pumps are a shining example of German technology. They are built using high quality materials with screws and titanium impeller, and designed to last a lifetime, in fact, they come with a 10-year warranty. The only flaw is the price which is quite challenging. I was struck by the beauty of the large Plexiglas tanks by Schuran, perfectly finished and complete with filtration systems. 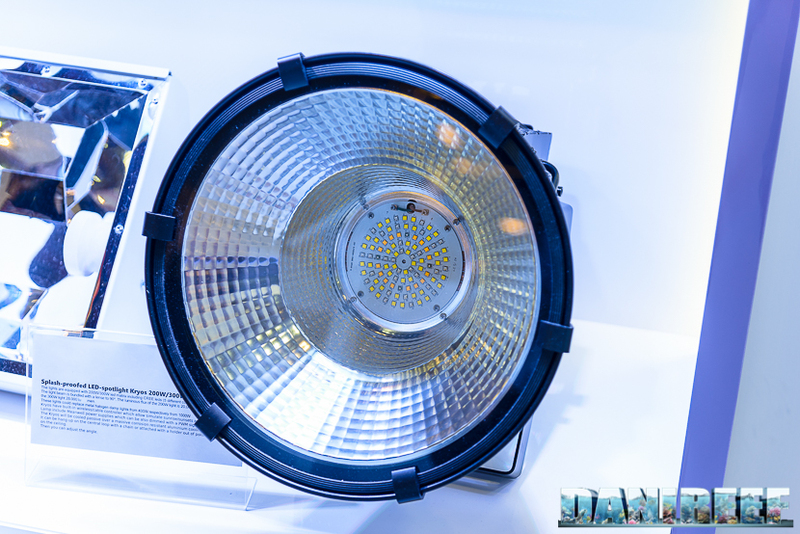 The big LED headlights of 150 to 500 W were interesting as well, they are designed for public aquariums and they can replace metal halide lamps of 400 and 1000 W. I saw these headlights at Pacific Sun and Maxspect stand, but other companies such as Aqua Medic sell them. 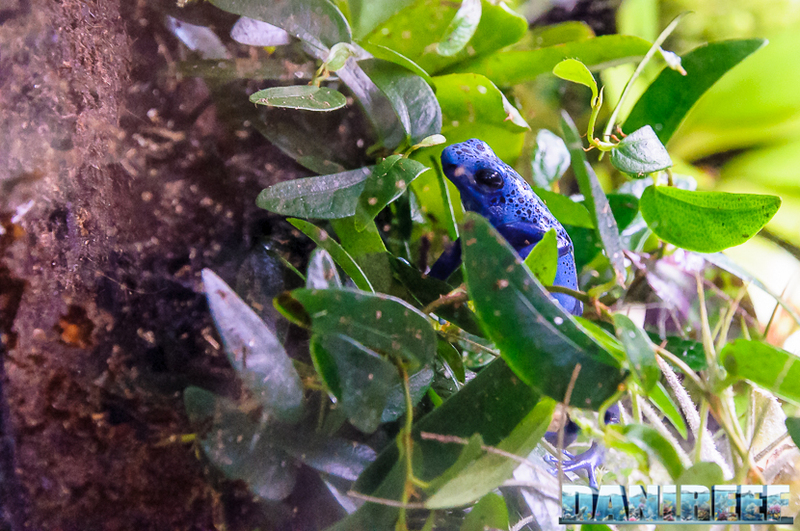 Finally, the DeJong Marinelife reef aquarium absolutely deserved to be seen and photographed. 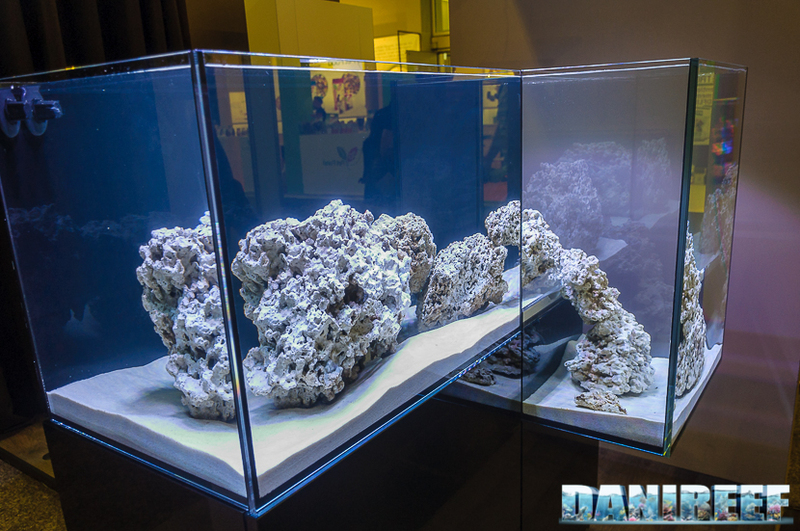 In addition to the incredible variety of species of coral and fish and decoration, I was impressed by the square basic form of the tank and the lighting, which consisted of 16 LEDs by LANI (by Triton world). Now, we move on to Maurizio Zannoni‘s review, with us for his 10 years of Interzoo. 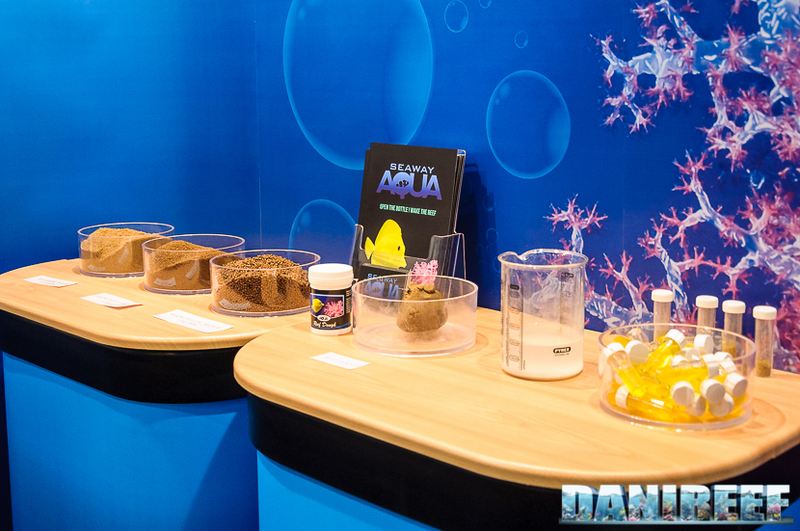 The Aqua Medic stand impressed me a lot. 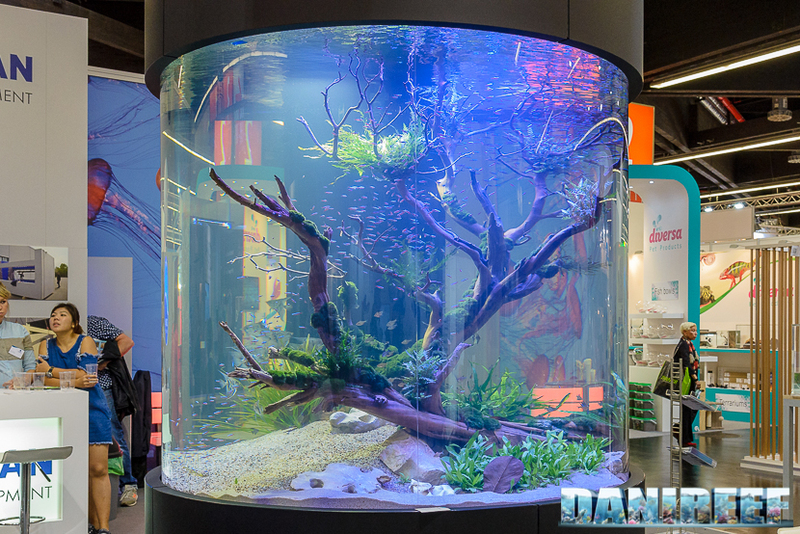 When I saw it I suddenly said, “Wow, I would have my marine aquarium with them!! 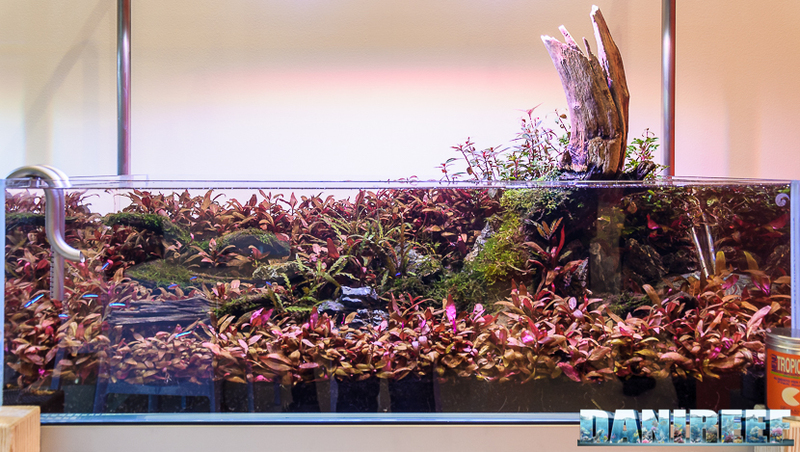 !’’ All were beautiful, the LED headlight ceiling by Spectrum, Xenia tanks, EVO system for electric skimmer controller, the filling system tank of evaporated water and as well the quantity of accessories that they provide (such as a superfine microfiber cloth to clean the exterior of the tank glass …). 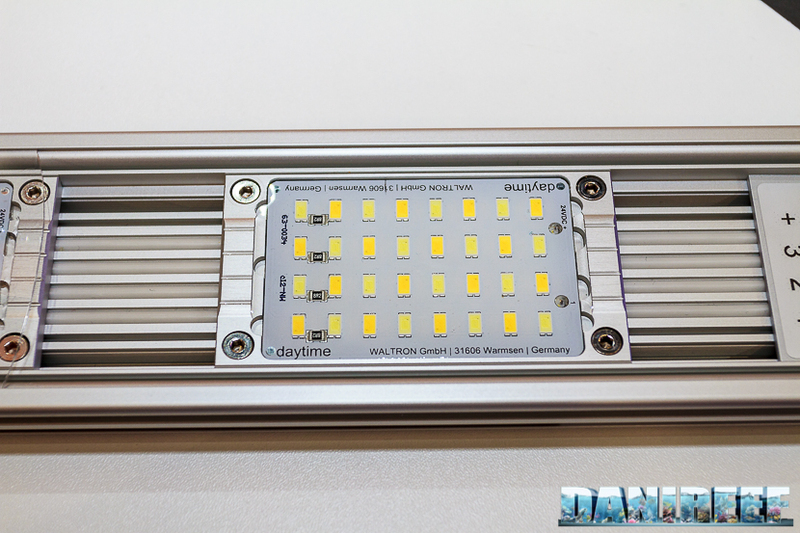 I was impressed as well by DayTime and their modular ceiling; being modular means that you can buy individual components and accessories (of all types) to suit your size requirements, color, and light power LED system. 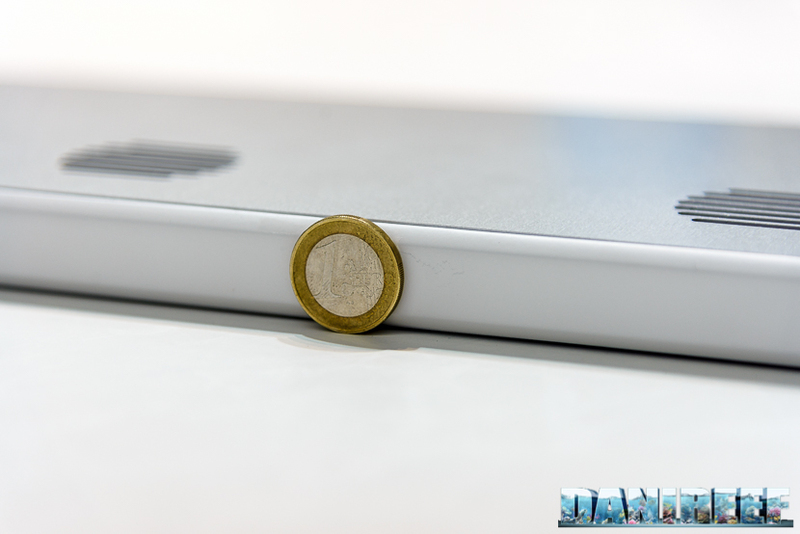 They are also aesthetically nice, the price is the only drawback because it is not cheap. 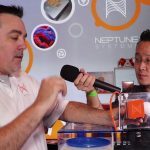 Finally, even if it is not an aquarium, I was fascinated by Biopod which is a self-sustaining ecosystem that replicates real-world environments where you can keep both reptiles and fish in a very smart way. 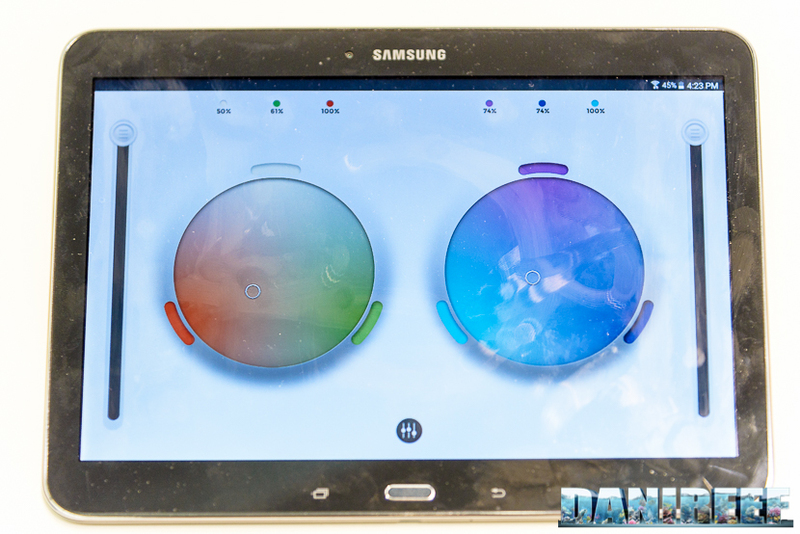 Via an app (on smartphones, tablets, and computers) you can adjust all the parameters of temperature, humidity, ventilation, and rainfall based on the needs of the plants and animals it contains. 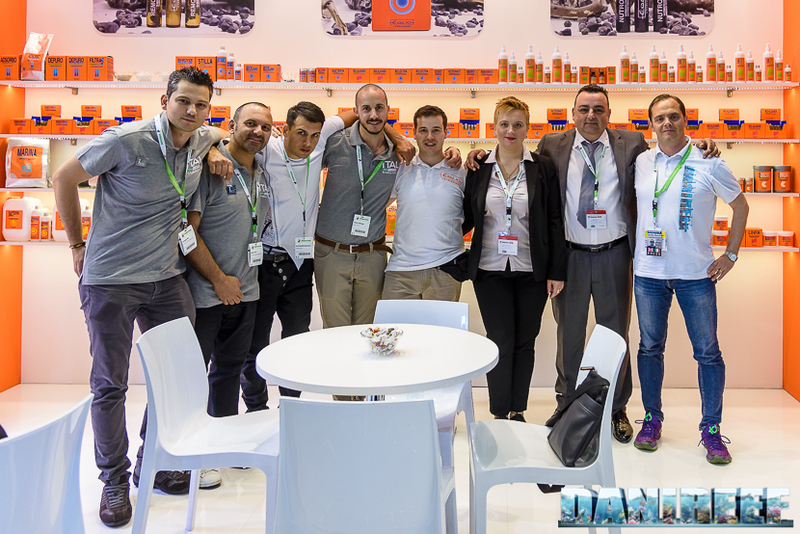 Interzoo is the biggest fair in the world for the pet industry, it is really impressive with its exhibition area of about 115,000 square meters and about 1,800 exhibitors, including manufacturers, wholesalers, and service providers from many countries. 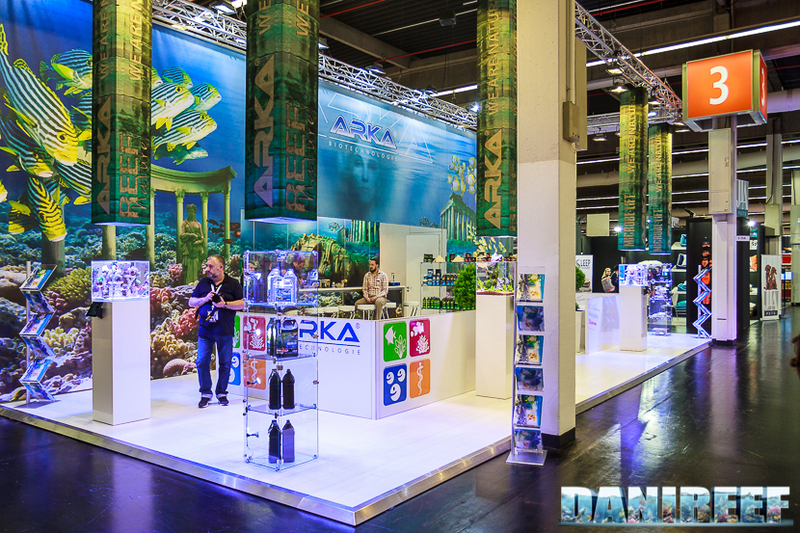 The fair is a source of inspiration for the international pet industry, where the trade visitors can get an overview of the global market and the latest products for the feeding and grooming of pets, pet accessories, birds, ornamental fish, and terrarium animals. 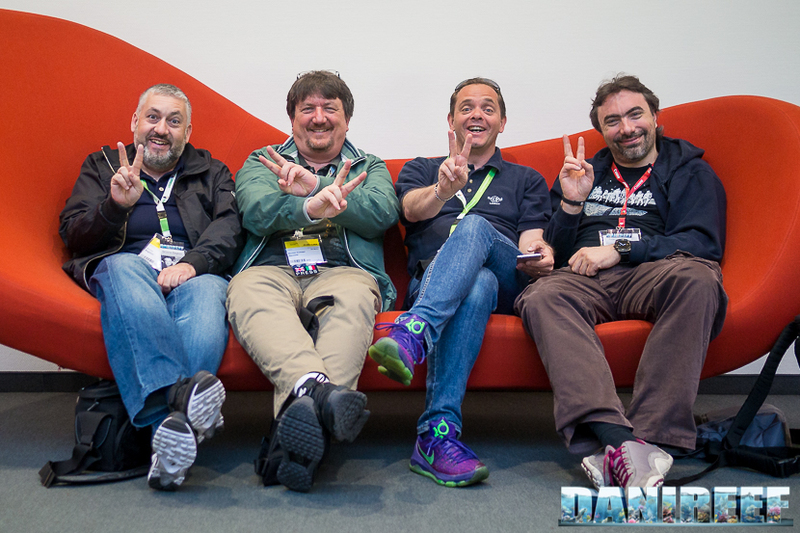 Finally, we have Federico Turato‘s review: Interzoo 2016 ended. It was my first experience with, and I was very impressed by the size and lot of exhibitors that joined the event. Two days were not enough to visit the whole fair, I believe that I visited only half of the aquarium booths and 1/100 (maybe less) of the others. 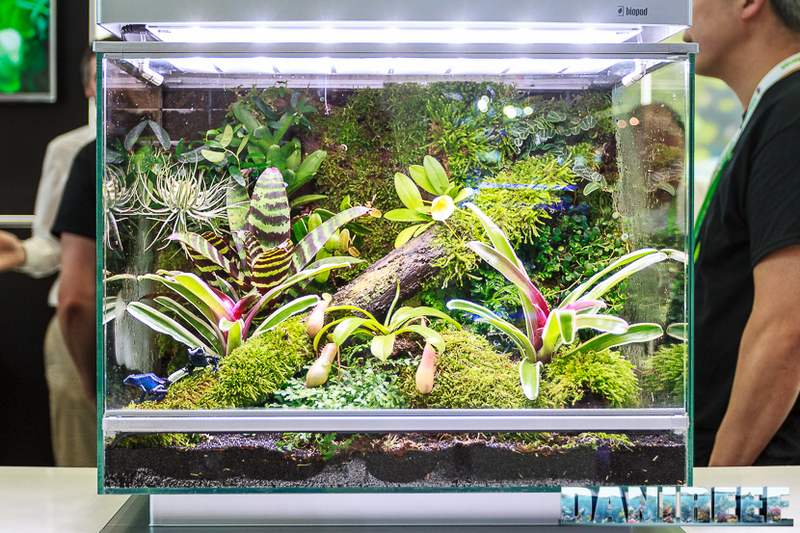 Talking about the highlights, I want to start with Biopod, a Canadian company that produces paludariums of small dimensions and high technological content. The Dendrobates tank fascinated our entire Reefs.com group. 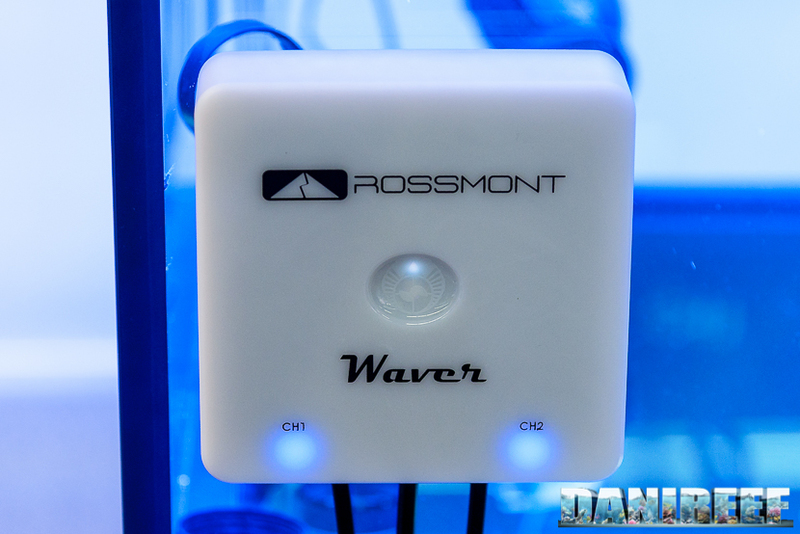 Next, I would like to focus on two LED ceiling lights that caught my interest, the first is the cluster control of modular ceiling by DayTime (which Simone and Maurizio already spoke about) the second one is more traditional but by with a very attractive design. It is the ceiling light Aqua Medic, which introduces no particular news, but the thin elegant shape is very attractive. Both of these lighting systems are passive, thereby eliminating the noise and at the same time an element that may be damaged. The other feature they have in common (and which allows it to function without fans) is the 0.5 liter Watt theory I have found in many other products displayed. Illumagi presented an interesting modular ceiling, very innovative in his customization. At the fair there was only a prototype, we are waiting for the commercially-available version to give you a good review. 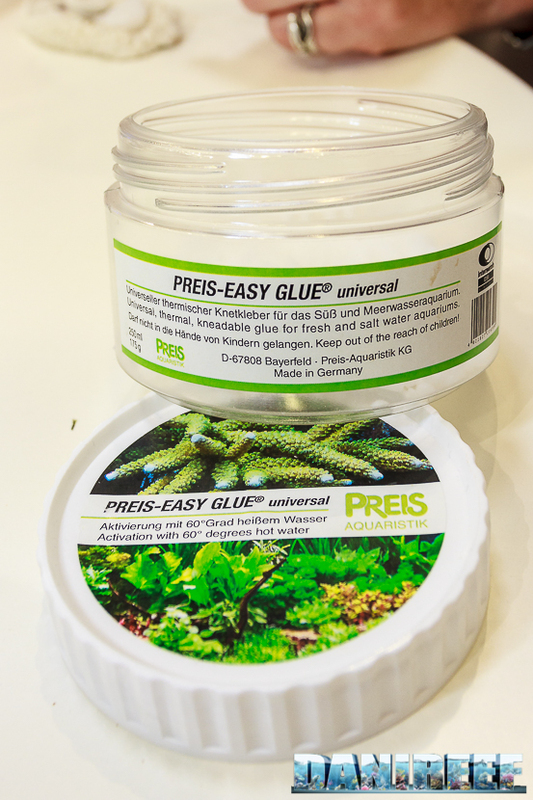 Several companies presented a new plastic polymer version of glue. 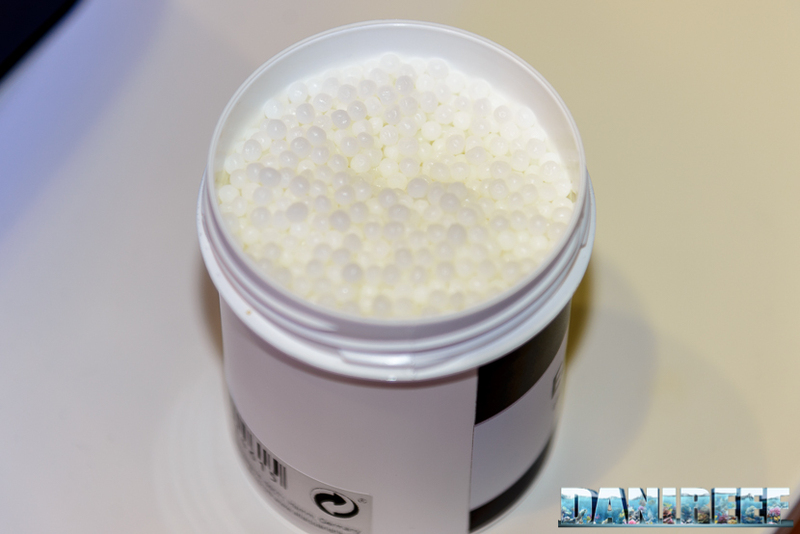 They were plastic balls, which, when they make contact with hot water, become malleable and allow it to be used to paste corals. 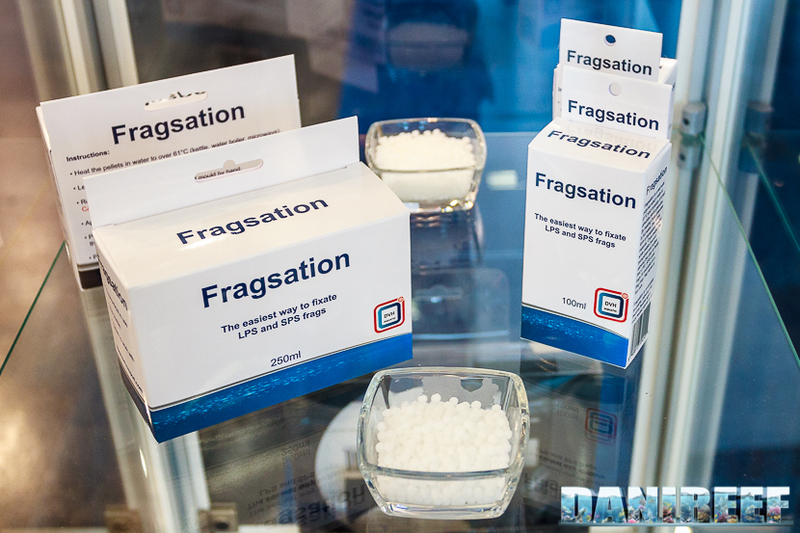 DVH Aquatic offers the Fragsation whose balls melt around 60°C and Preis presented Preis Easy Glue-which melts at 41°C. 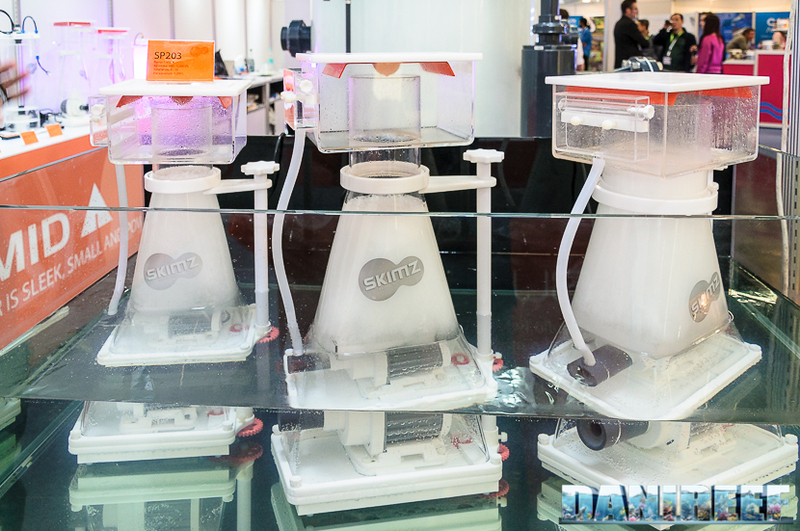 A technical accessory that I want to mention is the prototype of cylindrical ATS exposed by Skimz; it will probably will become a must-have for me. ATS stands for Algae Turf Scrubber, and rest assured that we’ll talk extensively about it in the coming weeks. Two pleasant surprises were the Seaway Aqua and Arka, the first English and the second German. 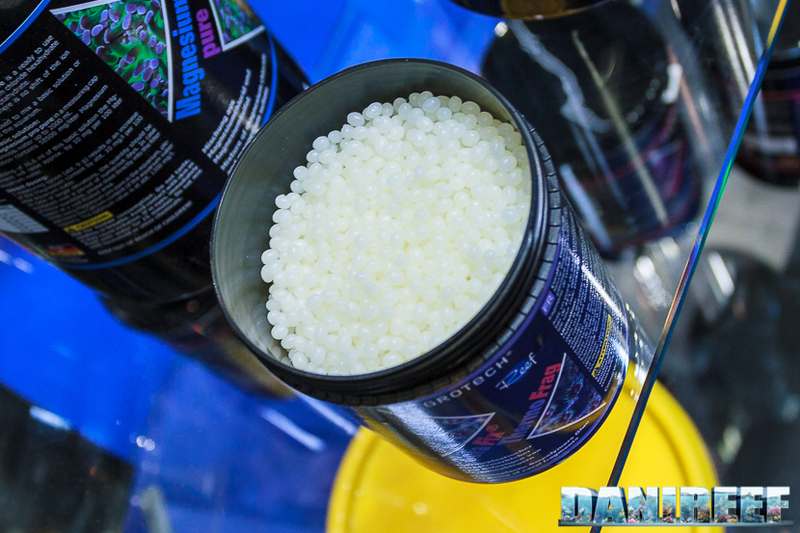 These companies presented an interesting line of food, supplements, and similar products.